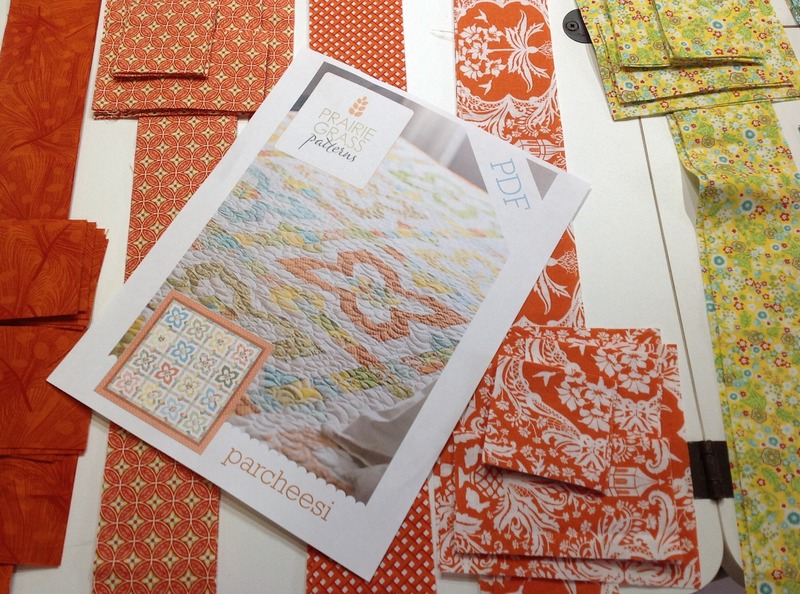 I spent the entire day cutting my stash of Flora by Lauren & Jessi Jung for Moda to make a Parcheesie quilt, pattern by April of Prairie Grass Patterns. This pattern involves a lot of cutting and finishes at 86″ x 86″, the largest quilt I’ve made to date! Sixteen fat quarters cut into 21 pieces plus three yards of background fabric (Kona white) cut into 384 pieces = 720! That doesn’t include the back, boarders or binding!! It will all be worth it, it’s a beautiful pattern and believe it or not, I have fabric left over for pillowS! This will be the first pattern where I’ve cut out all the pieces before sewing, I usually cut as I go. 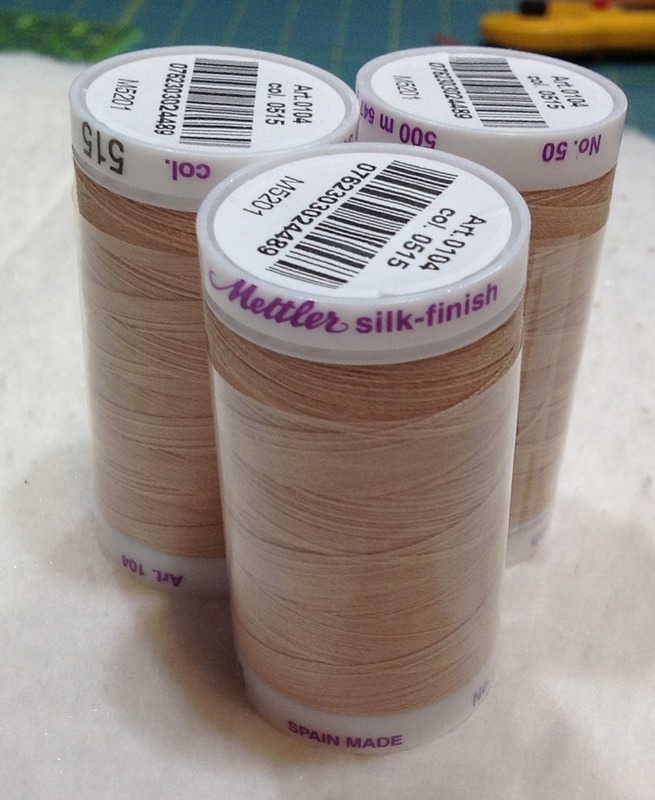 Because Aurifil thread isn’t available to me locally, I haven’t won any and and Alex hasn’t sent me some, I’ve decided to use Mettler Silk-Finish cotton thread. It’s a fine, thin, long staple 50wt cotton with a very smooth finish. It will be interesting to see how much lint it produces compared to Aurifil and Gutermann. 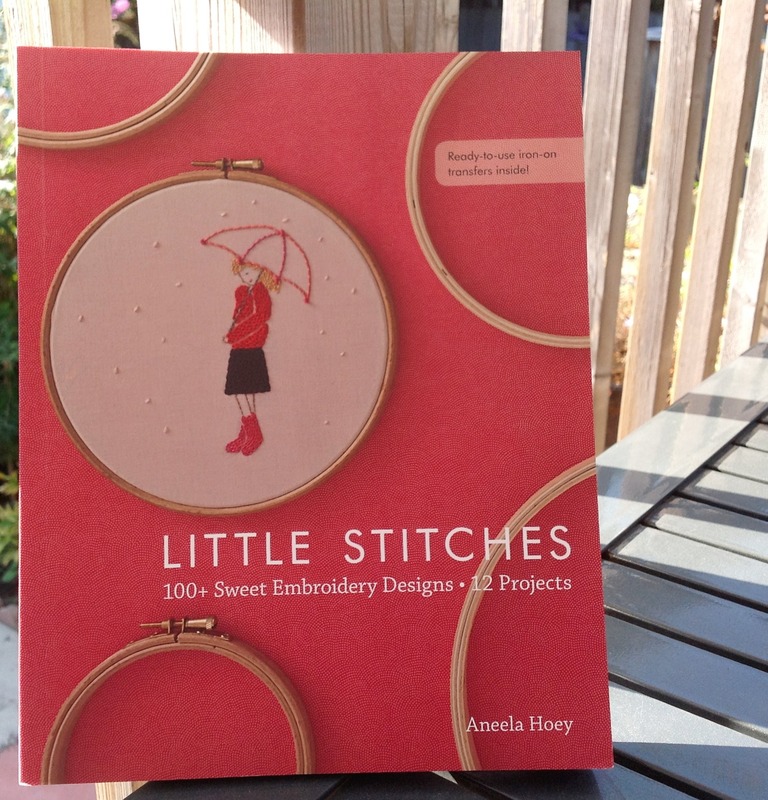 DH received a package from Amazon.ca today and he was sweet enough to include a little something for me in his order, Aneela Hoey’s Little Stitches! Yes, I DO have the best hubby in the world! What I didn’t realize about this book is that it has ready-to-use iron-on transfers, AWESOME!! This entry was posted in Books, Emboidery, Fabric, quilt and tagged Aneela Hoey, Aurifil thread, Flora fabric, Gutermann thread, Lauren + Jessie Jung, Little Stitches book, Mettler silk-finish thread, Moda, Parcheesie quilt pattern by Tabatha. Bookmark the permalink. Good job, Tabatha! That is a LOT of cutting! I cut out month 10 (yes, I’m a little behind, but we bought a new house and moved last late autumn, which seriously interfered with my sewing progress!) of a BOM quilt – Civil War Chronicles, from Homestead Hearth in Missouri – and it also has a lot of cutting and the quilt finishes at 108″ square – the largest I’ve made by quite a bit. I’ll be inspired by your progress – thanks for the updates! Thanks Liz! I hope you share photos of your Civil War Chronicles quilt! Lucky you. I’ve been looking for the new Aneela Hooey book–I’ve become quite fond of embroidery lately. Good luck with the Parcheesie pattern–I just saw that the other day too and thought it looked like a really cool pattern.